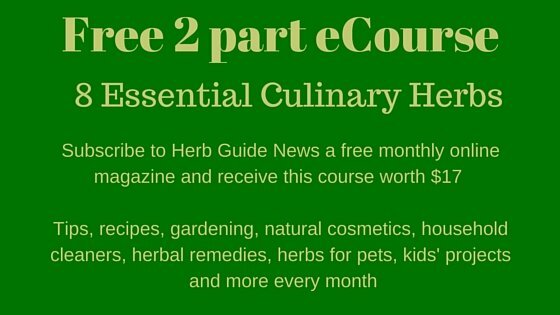 Drying fresh herbs can be done in one of three ways - air, oven or microwave. 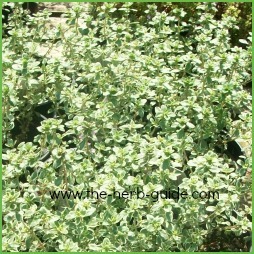 You need to get the best and freshest herbs you can find - ideally from your own plants. Harvest them just before they come into full flower and in the early morning - when the dew has dried off and before the sun gets hot. Cut them with fairly long stems - wipe them clean if they need it, but don't wet them if you can help it. If they're muddy, wash them on the plant and pick them another day when they've dried off. Gather them together between 5 and 8 stems and tie them with a piece of string. Place them head down in a brown paper bag with the ends protruding a few inches and hang the bag up by the stem end in a warm, dark place - shed or under the stairs perhaps. I have some hooks screwed into the ceiling of my under stairs cupboard. 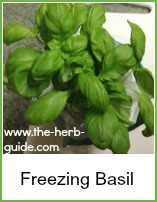 It will take one to three weeks for the fresh herbs to dry, depending on the fleshiness of the leaves. Take the leaves off the herb sprigs and spread over a baking tray in one layer. Use the plate warming section of a cooker or the bottom of a conventional oven with the door ajar - put it on the lowest heat. 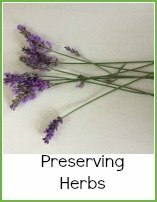 Turn the herbs every 30 minutes until dried - could be anywhere between 3 to 5 hours - you will know they're ready when they are brittle and crumble when touched. Perhaps the easiest method as the results are known within a few minutes. Wipe them clean if they're dirty. Spread the leaves over three layers of paper towel and cover with another layer of paper towel. Give them a 30 second blast, then turn - keep repeating until they are brittle. Don't burn them - they should take between 2 to 3 minutes to dry. One lady has reported that her paper towel burst into flames, so do watch it carefully. 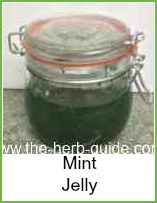 Once the herbs are at the brittle stage, crumble them into storage jars that exclude the light and label them clearly. 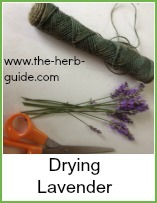 Drying fresh herbs is a good way of getting herbs out of season. You can use them during the winter season when there are no plants growing. They will be fine for the winter season but once the herbs start growing fresh again, discard what's left - wash, sterilise and store the jars ready for your next harvest.